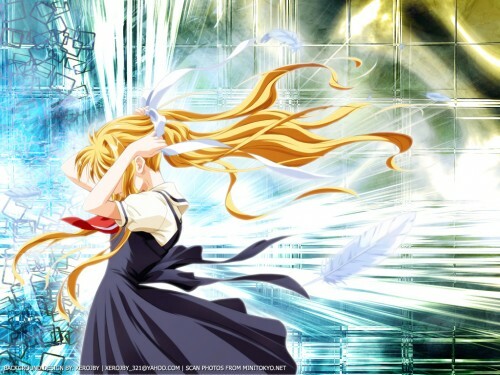 wallpaper of air I really don't know the anime but i find her pose very cool!!!! Awesome!! I wish I could do stuff like that... sniff... oh, well, gj. Gotta love that background. +fav! I think that's really pretty. I've never seen Air, but I hear it's good. Whoa. Really cool effects on the background. What did you use to get that? Nice wallpaper by the way! Way the go! Great effects and kawaii character. lookie that hair....sooo long. nice job on this. this is great.